DO YOU SELL YOUR PHOTOS AND BOOKS? Yes, but only in the limited editions outlined here on the website. Please visit our SHOP. HOW MANY PHOTOS IN EACH EDITION? Yes. They are museum quality Chromogenic prints, commonly called C-prints. They are printed on Kodak archival Endura paper. HOW MANY BOOKS IN EACH EDITION? The Deluxe Limited Edition is limited to only 350 box sets. 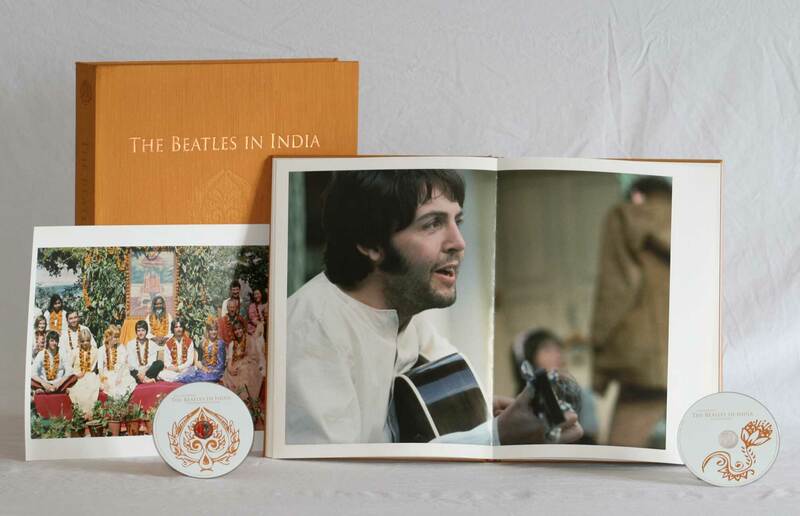 The Special Limited Edition is limited to only 1968 box sets. WHAT ARE THE DIFFERENCES BETWEEN THE BOOKS? The differences are outlined in detail on the BOOK page. FREE WORLDWIDE SHIPPING of all limited edition photographs. FREE SHIPPING of limited edition books and photographs in North America. INTERNATIONAL SHIPPING: To calculate shipping rates outside of North America, please use the postal calculator in your Checkout Cart. For EXPEDITED/COURIERED SHIPPING in North America and internationally, please contact us for rates at paul@thebeatlesinindia.com. DUTIES AND TAXES are per the regulations of the country to which you are shipping. Legally, my photography is my “art” and like any artist’s work worldwide copyright is held by myself. If you wish to use them please email me and get the permissions that you require. This is also true for the books, which are also considered my “art”. However, as obvious from the photos themselves, I had everyone’s permission to take their photos, including the ‘famous folks’. As such they are not invading privacy and remain my “art”. They cannot be used by me or anyone else for merchandising mugs, key-chains, t-shirts, etc. without the written permission of the principals in the photos, or their representatives. IF I WANT TO GO TO INDIA WITH YOU, HOW DO I FIND THE DETAILS? Cool! Happy to have you come along! You can see the detailed itinerary here. For direct feedback, either complete the form under Travel to India with Paul Saltzman or email me directly at paul@thebeatlesinindia.com. HOW DID YOU MEET THE BEATLES, AND WERE YOU A FAN? I first saw them live in Toronto in September, 1964, by which time their music had already been life-changing for me: their joy, their focus on love and their invitation to consider the inner life as well as the outer. For how I met them, see the story titled: Meeting the Beatles. DID THE BEATLES MIND YOU TAKING PICTURES OF THEM? No, they didn’t mind. Once I met them, and we joked around, I think they quickly felt that I wasn’t wanting anything from them, and they just welcomed me into their small group. I was not a photographer, per se, just a kid with a camera and as I saw them taking photos of each other I asked each of John, Paul, George and Ringo, individually, if they minded me taking photos. Each one gave me a friendly “go ahead”. In the week I spent with them, not thinking of them as The Beatles but as simply other young men, it didn’t even occur to me to get a photo of myself with them. We were buddies for a week, chatting, fooling around, joking, having some deep conversations, and I’m sure it would have been no problem, if only I’d thought of it. In fact, I only thought of taking out my camera twice in the week, and only took 53 transparencies of anyone ‘famous’. I’ve done gallery shows in North America, Europe and South America. None are currently scheduled. I also do Keynote address and lectures and seminars on a variety of subjects concerning the Beatles. You might enjoy my TEDx Talk. WHAT WERE THE BEATLES LIKE? They were very down to earth, friendly, warm and open, without any discernible “star” egos. And they were very different individuals, yet truly tight, like four brothers. For more details see the STORIES. DID YOU SEE ANY OF THE BEATLES AFTER RISHIKESH? I felt the time at the ashram was perfect, so to speak, and I felt that they certainly didn’t need new friends, being so inundated by people and demands all the time. So I never tried to get in touch with any of them. A few years ago, Ringo got in touch with me through his record producer. He wanted one of the photos, ‘To The Nines’ and I met with him in New York City to give it to him. Recently, Ringo’s people got in touch as the Grammy Museum in Los Angels was launching their first ever major exhibit dedicated to a drummer: Ringo: Peace and Love. They wanted to use some of my photos of Ringo from Rishikesh. My sweetheart, Annie, and I met Ringo at the opening reception. He and I shook hands and as Annie put out her hand he gave her a big hug. She was thrilled! 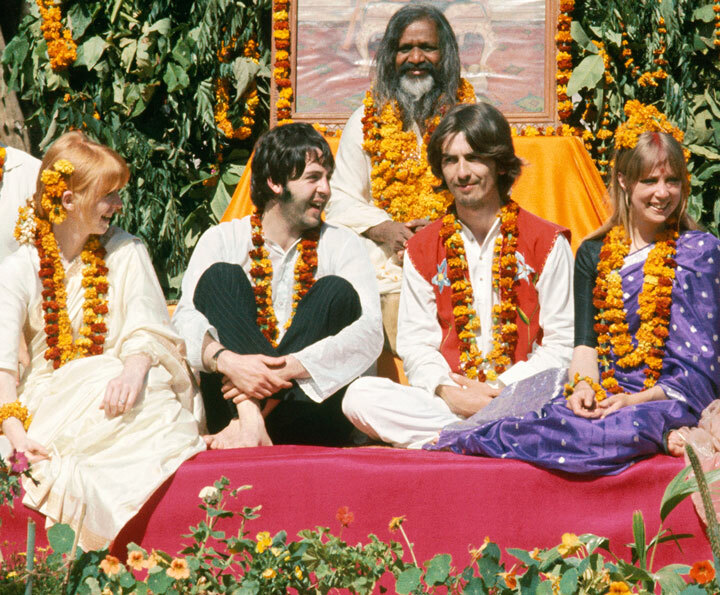 I would totally love to make a feature documentary about the Beatles time in India, their amazing creativity and the deeper reasons they went to the ashram. So, I reached out to Paul and we met briefly in Toronto before one of his performances. He was very warm and friendly. Unfortunately, he was running an hour behind schedule due to sound check problems and we had no time to discuss the possibility of the film. Previously, Paul had seen one of my gallery shows in East Hampton, NY, and his then sweetheart and now wife, Nancy Shevell, bought him one of my Limited Edition books. He later said the Deluxe book was “a work of art”, which was sweet to hear. When Paul did the wonderful benefit concert at the Radio City Music Hall, in support of David Lynch’s foundation for working with troubled youth using meditation, he asked his people to get in touch with me and they used many of my photos in an excellent slide presentation projected on the huge screen behind him, on stage. This was to accompany his song Cosmically Conscious. Not really, as each one has special meaning for me. But if I must say, my personal fave of John is ‘John’, the one where he is scratching his ear. My fave of Paul is ‘Serenade’. My fave of George is ‘The Inner Light’ and my Ringo fave is ‘When I’m Sixty-Four’. CAN YOU TELL US ABOUT INDIVIDUAL PHOTOS? Yes. Please go to the PHOTOS page to read more. Yes, I do, though I use a different method today, which I find much more effective for me.